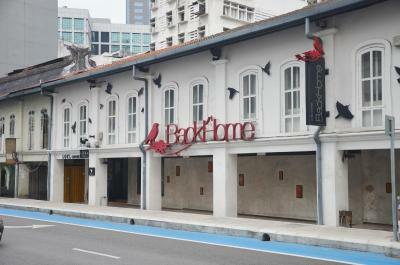 Lock in a great price for BackHome Kuala Lumpur – rated 9.3 by recent guests! 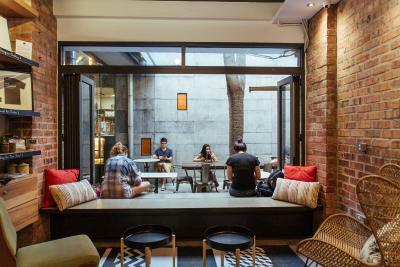 The ambient of hostel. Staff friendly. Strategic location. 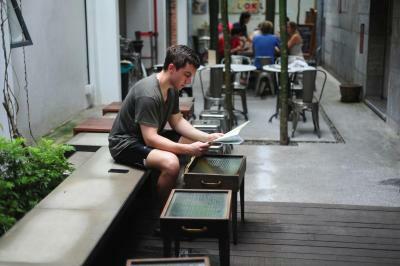 This place is great for a few days in KL. Nice showers (hot water, water pressure), clean facilities, Staff is very helpful and will give the most economical ways to get around. WiFi worked well for me. Atmosphere was relaxed but I saw a lot of people socializing mostly in the reception area and the kitchen. This hostel is brilliant, location is good, staff is good as well. can get to know so many backpacker as well! 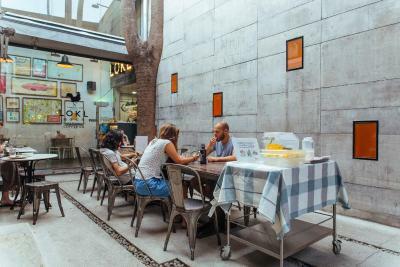 Location in central old district is quite useful, especially with several restaurants along the next parallel street (staff recommended Indian: Mollagaa). 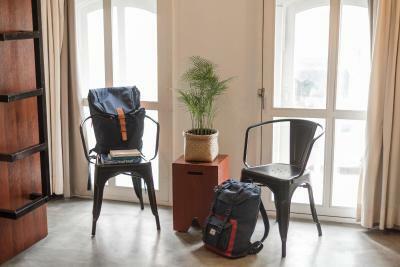 Beds are comfortable, with charging outlet, reading light, large luggage locker. Staff have enthusiastic and helpful attitude. Breakfast variety between days. 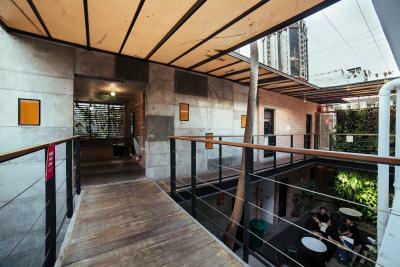 The dining area is open to sky, so during rains, the social areas are reduced. 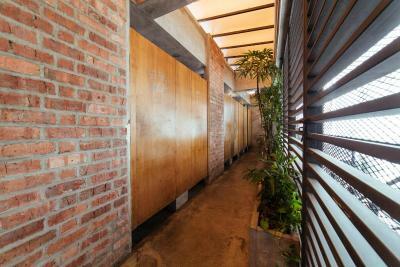 The toilets and shower stalls are under a roof, but open above (so don't trap humid wetness). Short walk to Eco Park (canopy walk). Also see: the stately Masjid Jamek (3 elegant domes) at the confluence of the Klang and Gombak Rivers +River of Life project (especially its irregular? event after final evening prayers : music+lights+waterjets display) . Everything was great as usual, spacious rooms, comfortable beds, nice breakfast. Will stay there again if visit Kuala Lumpur. 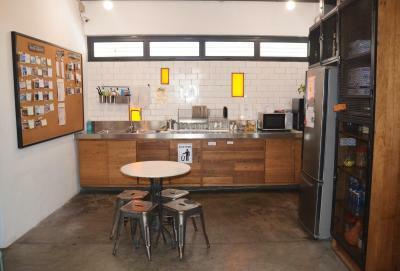 The hostel is so cozy and quiet.All facilities and rooms are clean and comfortable. Also the stuff is so friendly and helpful.I liked staying there. Everything!!! It was clean, staff was soooo nice!, they give you tips and place to go and you’re close of almost everything! 3min walk of train station. 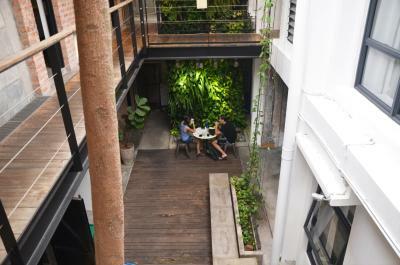 TripAdvisor rated this hostel as number #1 and i believe it! Location was great! Could walk to many fun places. Next door to a good breakfast spot. Room was clean and bed was comfy with nice fluffy comforter. The shower had surprisingly good pressure and hot water. Hostel had fun atmosphere too. 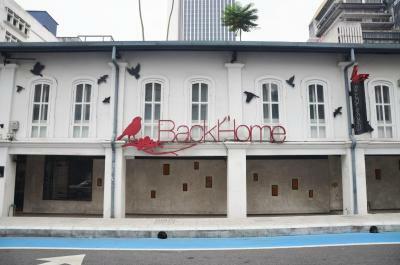 BackHome Kuala Lumpur is a boutique hostel situated within a 15-minute walk of Chinatown, Berjaya Times Square and Petronas Twin Towers. 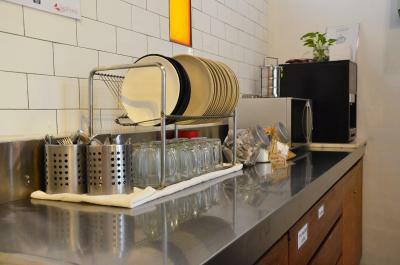 It serves a daily breakfast and offers free Wi-Fi access. 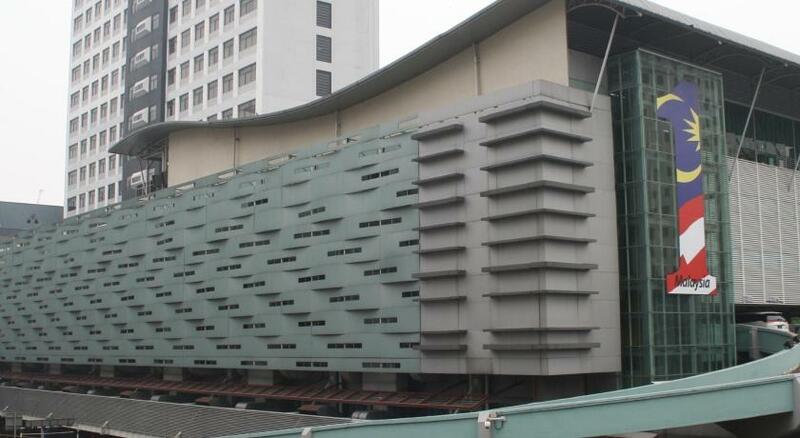 The property is a 5-minute walk from Masjid Jamek and Museum Telekom. Kuala Lumpur International Airport is a 1-hour drive away. 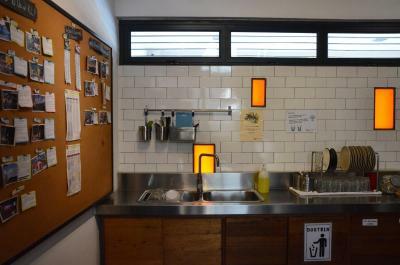 The regular and dormitory rooms feature air conditioning, individual lockers and shared bathrooms with a hot shower. Hairdryers and ironing facilities are available upon request. 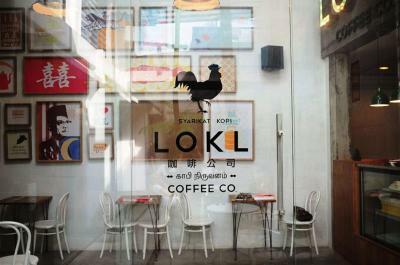 LOKL Coffee serves light refreshments such as sandwiches and salads. 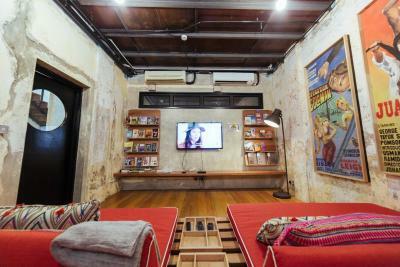 Guests can surf the web at the internet kiosk or borrow a book from the mini library. 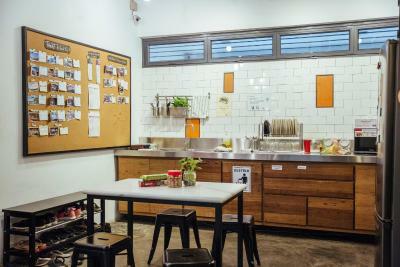 Alternatively, they can watch TV in the common area or prepare light meals in the small shared pantry. Luggage storage is available for a fee. 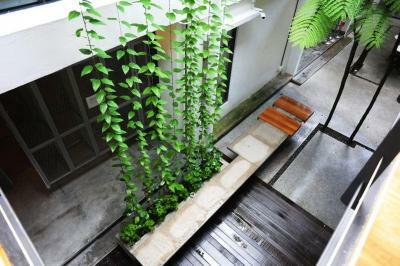 뀐 Located in the real heart of Kuala Lumpur, this property has an excellent location score of 9.4! 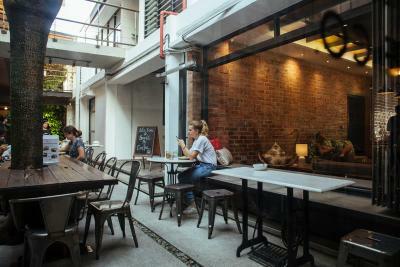 When would you like to stay at BackHome Kuala Lumpur? 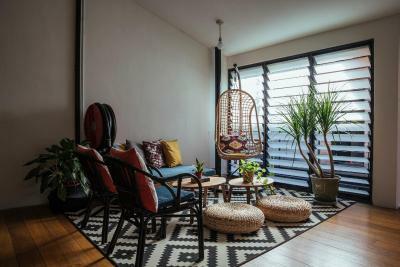 Fitted with a queen bed for 2 guests, this ground floor room faces the courtyard and features air conditioning, individual lockers and a shared bathroom with a hot shower. 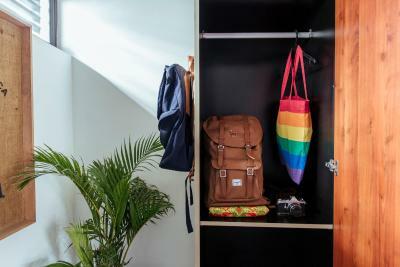 Mixed dormitory room features air conditioning, individual lockers and a shared bathroom with a hot shower. Mixed dormitory room accommodates up to 6 guests in bunk beds. Rate is for 1 guest only. Female dormitory room features air conditioning, individual lockers and a shared bathroom with hot shower facilities. Female dormitory room accommodates up to 8 guests in bunk beds. Rate is for 1 guest only. Fitted with one queen bed and 1 single bed for 3 guests, this room features air conditioning, individual lockers and a shared bathroom with a hot shower. Female dormitory room features air conditioning, individual lockers and a shared bathroom with a hot shower. Female dormitory room accommodates up to 4 female guests in bunk beds. Rate is for 1 guest only. 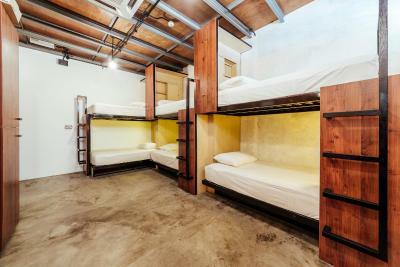 Mixed dormitory room accommodates up to 4 guests in bunk beds. Rate is for 1 guest only. Mixed dormitory room accommodates up to 8 guests in queen size bunk beds. Rate is for 1 guest only. 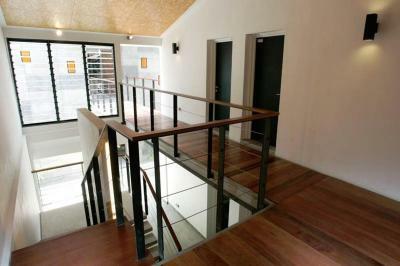 Fitted with a queen bed for 2 guests this air-conditioned room on the 1st floor faces the back of the street. House Rules BackHome Kuala Lumpur takes special requests – add in the next step! BackHome Kuala Lumpur accepts these cards and reserves the right to temporarily hold an amount prior to arrival. Extra beds come in the form of mattresses. Extra bed charges apply. Please note that the property does not operate a 24-hour front desk. Guests arriving between 23:30 to 07:00 are required to provide a copy of their photo identification details to the guard on duty upon check-in. Effective 1 September 2017, all foreign guests will be charged a mandatory Tourism Tax of MYR 10 per room per night. This is to be paid directly to the property upon check-in. Everything especially free toast with Kaya jam ! Wifi didn’t really work in the dorm. 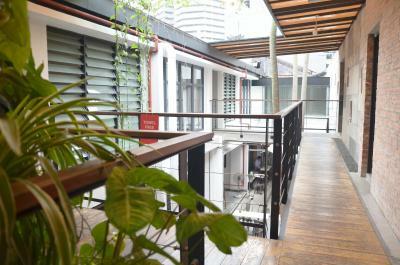 Very nice hostel, very nice stuff, great location. They have a movie room with netflix. 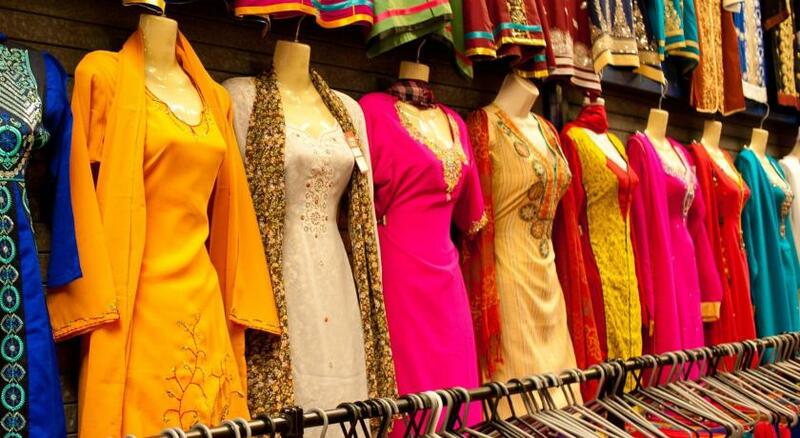 Nice Indian vegetarian restaurants nearby. Overall a great place to stay! Would definitely book again. 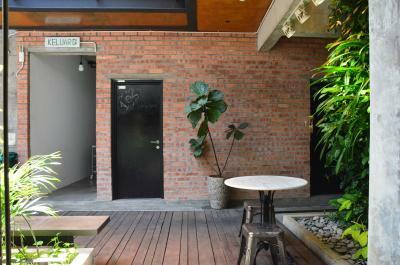 The hostel looks beautiful and was so clean and stylish throughout. 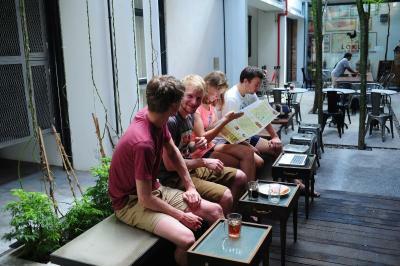 The staff were so friendly and welcoming and it was a really sociable place. The location was great for me - only 3 minutes to the nearest station. The rooms were also very pleasant, with very comfy beds, plug sockets and lights and huge lockers for each person, so very secure. Their Malay breakfast on a Thursday was delicious, I wish they had it everyday! The door is loud, I'm afraid I've disturbed my roommates. But everything else is exellent! Second stay here 1 year later. Staff were really friendly, especially the night security who was such a help when I forgot my key and returned after 2am. The location is convenient, the beds are nice and large by comparison, room is large and so are the cupboards, can fit an entire check in bag and more in those things. Too simple breakfast. Cant even full your stomach. 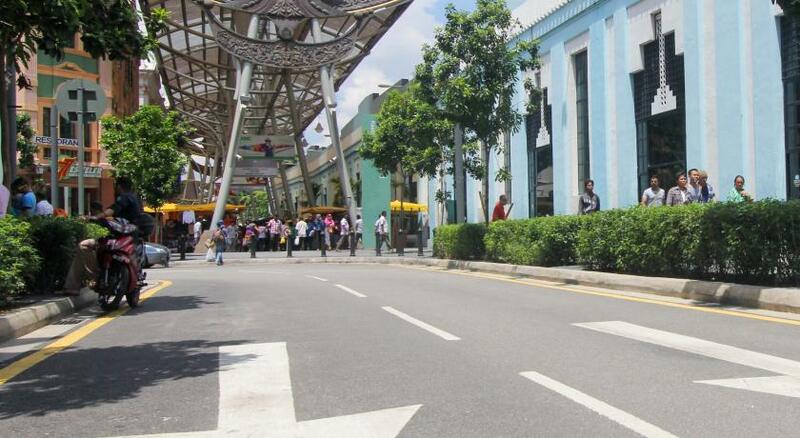 If you bring car, the nearby public parking will cost you RM29 for overnight stay, entry after 5PM. 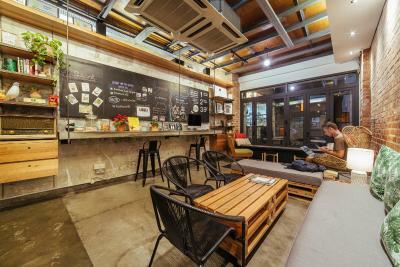 Great location (10 min walking from Central Market as well as Chinatown),very helpful and friendly staff,nice common area to hang out or watch some Netflix movies...;-) Highly recommended and hopefully to be repeated! AJ, Ana, And Marina were extremely Accommodating and friendly, they truly enjoy incoming travelers. Breakfast is wonderful and any all information needed about the hiking trails is provided.